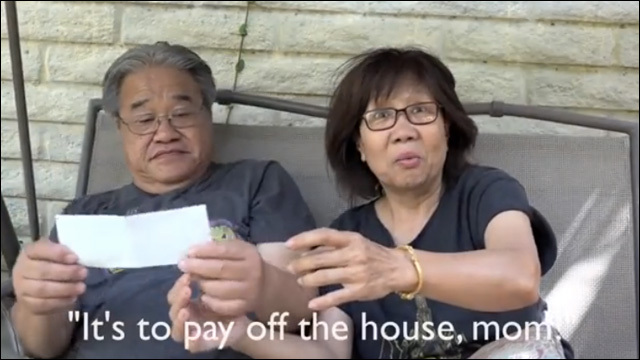 Timothy DeLaGhetto posted a YouTube video Monday as he presented his parents with a check for $210,000 to pay off their mortgage. 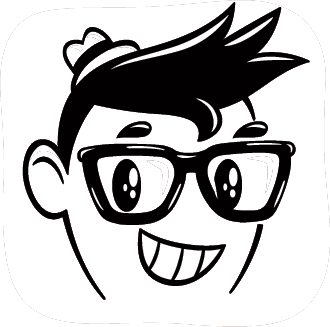 “My parents always wanted me to stay in school and get a degree,” DeLaGhetto told USA TODAY Network. “To reassure them, I said I would pay off the house,” he said. In addition to the check, DeLaGhetto also paid the bank another $130,000 for their house near Long Beach, he said. 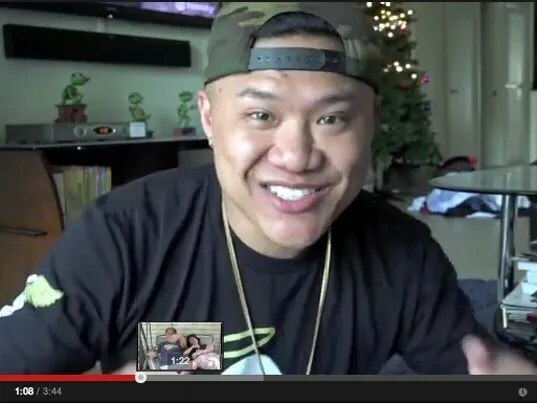 In the video, which now has more than 172,000 page views, DeLaGhetto says, “One of the main reasons I go so hard at this entertainment grind … is so they don’t have to work so hard, because they work so hard.” His parents own a Thai restaurant in California. His father, Kongkiat Chantarangsu, says to DeLaGhetto, “I knew you could do it.” His mother, Sukhon Chantarangsu, cries as she hugs her son. DeLaGhetto said he wants to show people not to take their family for granted. This story was first spotted on Twitter.